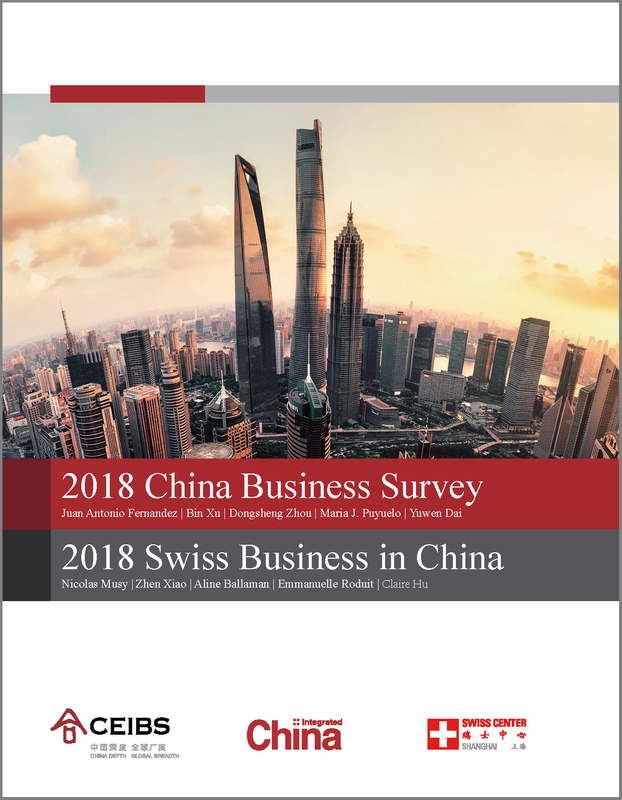 The 2018 Swiss Business in China Survey is now available in digital format. The results show that generally speaking, Swiss, international and Chinese companies are doing well in China. In fact, foreign companies continue to report fast increasing sales, despite the slowdown in China’s GDP growth. And again, over 50% of Swiss, EU and US companies expressed an intention to increase investments in China in 2018. In terms of profitability, however, Swiss companies are stagnating (61% announce to be “profitable” or “very profitable”). This may in a sense explain why after a marked rebound in confidence last year, Swiss firms see the long term with less confidence than the immediate future. It is the first time this has happened since the survey is conducted. It is also noteworthy that, on the other hand, Chinese firms continue to expect better times over the long term. However, foreign and particularly Swiss SMEs with their traditionally niche fields of activities are less affected by the domestic competition than larger enterprises. Read more and download the complete survey in pdf, click 2018 Swiss Business in China Survey.